I accept payment through checks or paypal. 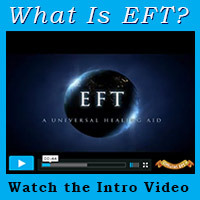 In order for you to determine if EFT is the right therapy, I offer a free 20-minute phone consultation. My most popular format is the 1 hour individual session priced at $100. In order to share the cost of an EFT consultation with family, friends or co-workers, I also offer 1h 1/2 custom group sessions priced at $150.